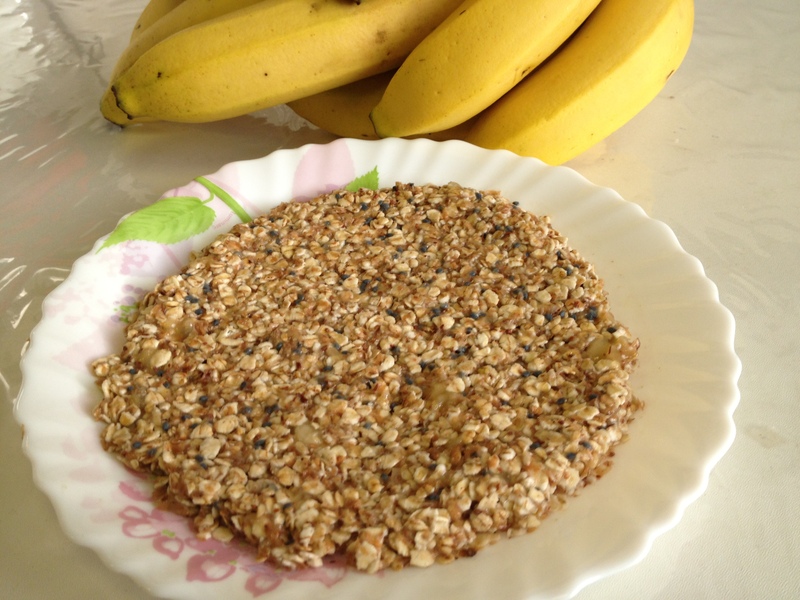 Mix oats and yogurt in a medium bowl and leave aside for half hr. Whisk flour, baking powder, baking soda, salt and cinnamon powder in another bowl. Lightly beat the eggs and add to oats & yogurt mixture. Stir to mix. Add sugar, vanilla and oil and mix again. Pour the wet ingredients into the dry and stir just to combine. Don’t overmix. Pour the batter into a greased pan of your choice and bake for 15-20 mins. Can be made into muffins. 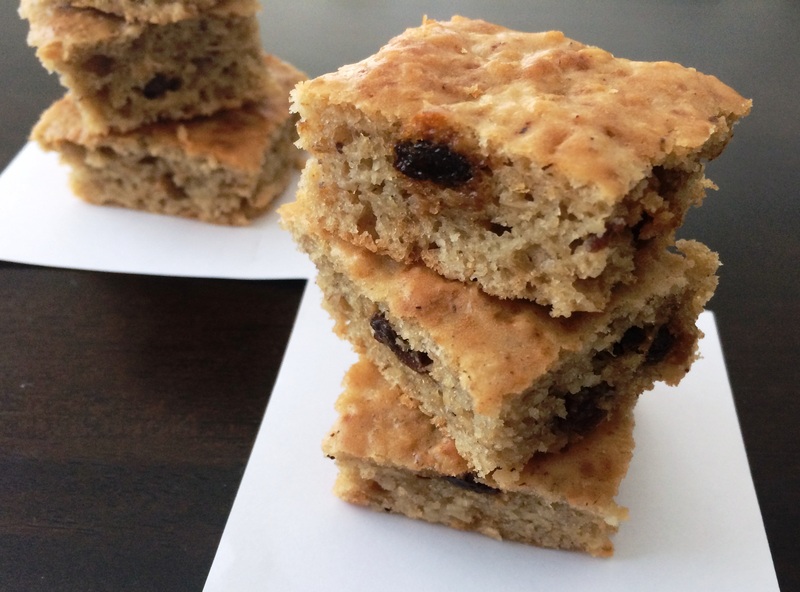 This is a variation of Breakfast Oats Cake that I had posted earlier. 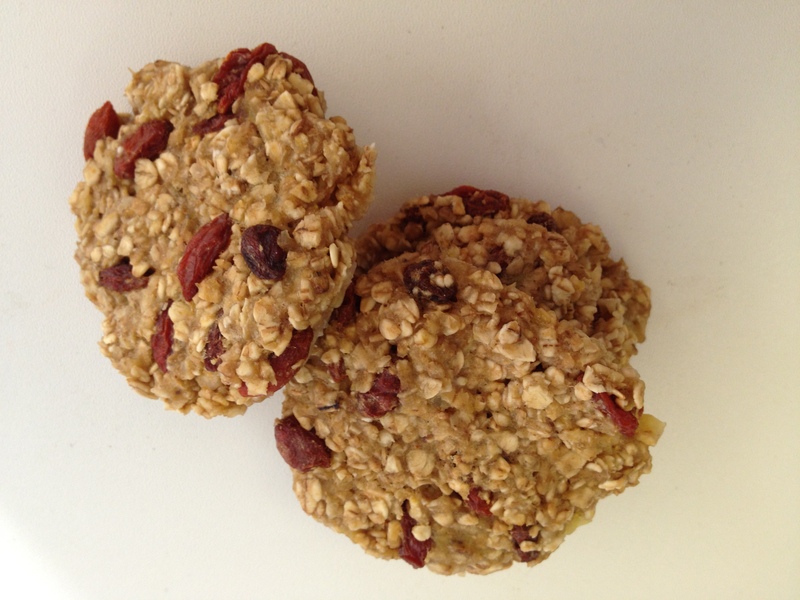 Mash banana and mix with oats and goji berries. Take small balls and flatten to round shapes. Place on a plate and microwave 4 minutes to get crispy cookies. 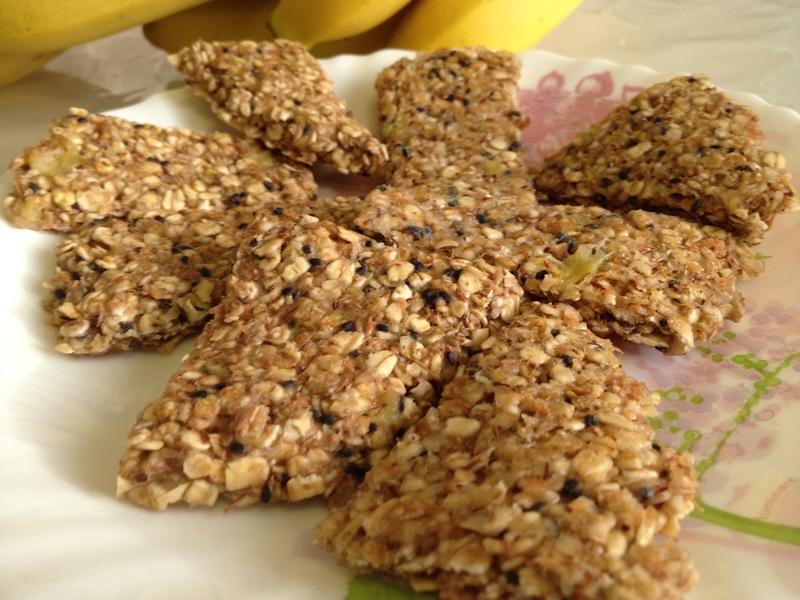 The edges are very crispy with chewy center….healthy and yum. This is my go-to breakfast nowadays. Quick, easy, healthy and keeps you full till lunch time. 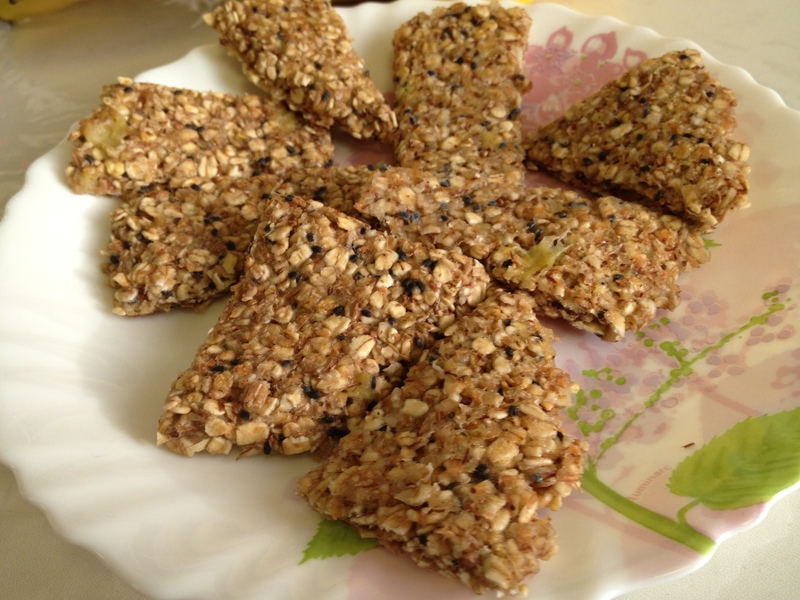 Many of my colleagues are having this oat cake for breakfast now. Optional items: You can add either one of the below or use a mix of your choice. 1 tbsp chocolate chips…of course, this is the best! 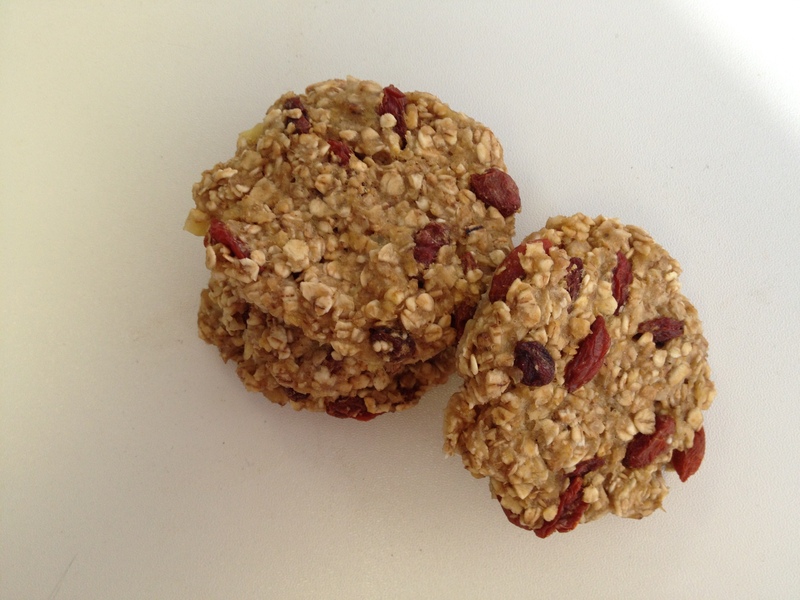 Mix oats and whatever optional items you wish. Pat them on to a plate (greased or ungreased) and microwave for 2 minutes. Reverse it so that steam does not make the cake soggy. Cooking for 2 or 3 or 4 minutes will result in different texture. Find the texture you love. This will keep you full for a long time and its good for health too!